Outdated plumbing fixtures are costing you money with every use. Kitchen and bathroom faucet replacement of old fixtures can help you conserve energy and water while keeping more money in your pocket. Even just saving a few bucks a month can have long term effects. At My San Mateo Plumber, we have a few suggestions for homeowners looking to upgrade to energy-efficient plumbing fixtures. You insulate your home to keep it from getting too cold or overheated, but you may not realize that your water heater can benefit from the same care and attention. Ask your licensed plumber in San Mateo about purchasing a water heater blanket to keep this vital appliance from releasing heat. Reducing water usage can be as simple as installing new fixtures in your kitchen and bathroom. Low-flow fixtures can save homeowners as much as 700 gallons in water usage each year. Even if your current fixtures aren’t giving you any problems, we encourage homeowners to consider upgrading to experience amazing savings and water conservation. We believe that everyone has a responsibility to contribute to a better environment, especially in Southern California, where drought conditions are always lurking just around the corner. Installing low-flow fixtures is a great way to do this. How old is the toilet in your home? It seems that we change paint colors, furnishing, and every other thing in our homes but never give the toilets a second thought. Homes that are decades old may be using the same toilet that may still work well, but is costing more money than necessary. Like low-flow faucets, low-flow toilets can decrease water consumption considerably. There are numerous models available that are affordable and effective that our licensed plumbers in San Mateo can help you install today. For more water conservation tips, call My San Mateo Plumber Hero today. We have qualified plumbers in your location available today. If a toilet in your home is leaking from its base or constantly overflowing, it’s time to call a plumber. The longer you put off calling for toilet leak repair, the more likely it is that you’ll have additional costs to contend with. My San Mateo Plumber Hero helps homeowners everyday tackle leaky toilets, clogged toilets, and other kinds of toilet repair service. Over the years, we’ve learned a thing or two about toilets – an occupational hazard – that we’d like to pass along to you. A toilet that works well stays put. If the toilets in your home are shaky when you sit on them, this is the perfect recipe for a leak to form. The commode may simply need the bolts tightened to the ground or it may need to be replaced. When a toilet is placed well over the drain pipe, water can leak from the base and cause flooring to rot. Fix this problem fast for best results. Some toilet leaks aren’t as obvious in the sense that you can see water pooling around the base. Instead, the leak is between the tank and the bowl. Signs that you have this kind of leak is a toilet that runs all the time or flushes at random intervals. You can test for a leak by putting a small amount of food coloring in the tank and see the water in the bowl turns that color. If it does, you have a leak. Many people ignore these kinds of leaks because they aren’t going to cause water damage. They are also easier to live with. However, what you might not be able to live with is how much this kind of leak is costing you in wasted water. Call San Mateo Plumber Today! 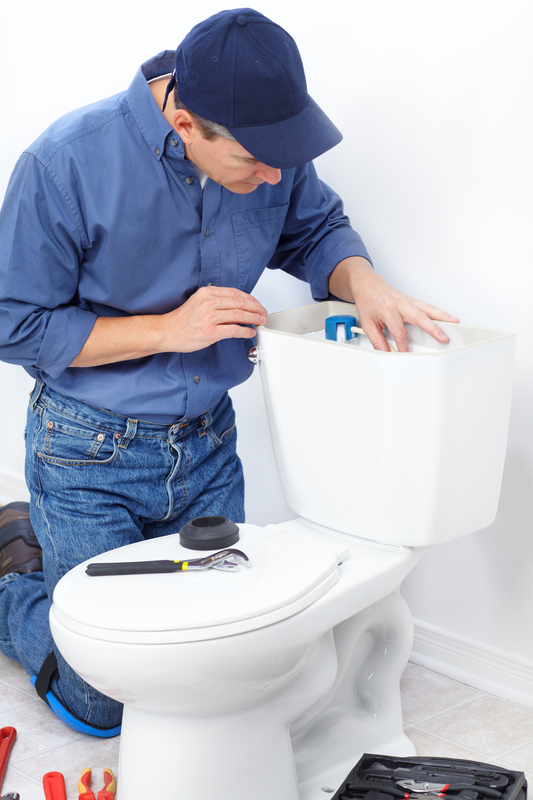 No matter what kind of toilet leak repair you need, it’s important to take care of it as soon as you can. Call My San Mateo Plumber Hero and we’ll get a plumber to your home today to fix the problem inexpensively and correctly – guaranteed!